While I'm not much of a fan of sim games (where's the loot? ), the idea of building your own theme park and roller coasters in RollerCoaster Tycoon World does sound kind of fun. Especially if those coasters are scientifically designed to induce nausea in your patrons. 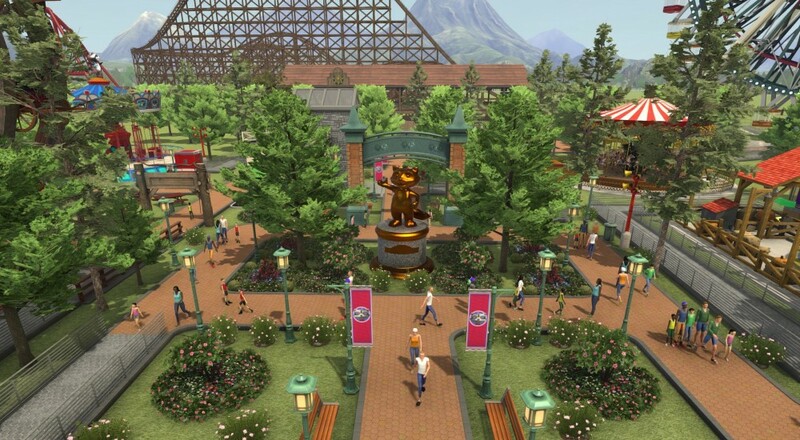 The latest video from the RollerCoaster Tycoon World dev team gives us a little time with them as they go through the new features that are being added, the new tech behind it, and how they are working with Six Flags to make it happen. One quick note about this game. When the title is launched on December 10, 2015, it will be single-player only. A post-launch update will add the co-op component, as the developer stated in their production blog, though it is not clear when that update will arrive. So if you're looking forward to designing parks with a friend, you'll have to settle for visiting them and being an armchair designer initially.